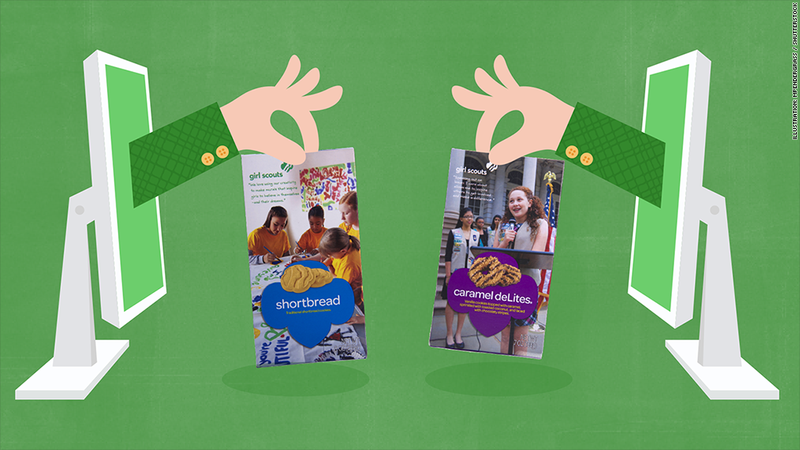 Girl Scout cookie sales are entering the 21st century. For the first time ever, you'll be able to buy Girl Scout cookies online through a national platform called Digital Cookie. This breaks the organization's ban on e-sales of Thin Mints and Samoas. The 112-year-old organization had preferred that its scouts engage in door-to-door sales, or send their parents to the office to get their colleagues to sign up for boxes of the famous treats. It's supposed to be a learning experience for the young scouts. "Digital Cookie will also allow customers to help girls learn 21st-century skills grounded in technology, along with valuable interpersonal skills girls will acquire through their continued participation in traditional booth and door to door sales," the organization said. Most of all, the organization wanted to level the playing field for its 2.3 million Girl Scouts. The group didn't want extra-savvy scouts (or parents) deploying advanced Web skills to build an online cookie empire and gain an edge over their peers.